Nylon Webbing Tape are more appropriate for industrial use due to its high strength, durability and high melting temperature. 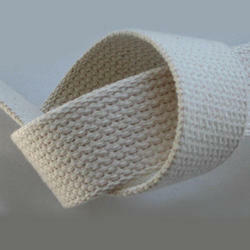 We are one of the leading Manufacturer, Trader, Exporter of Nylon Webbing Tape in Mumbai India. 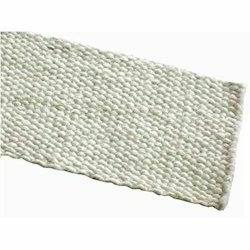 We are one of the leading manufacturer and supplier of Ceramic Fiber Webbing Tapes in India. These fiber webbing tapes are used in vrious applications such as used in furnace seals, door seals, boiler seals, pipe lagging, hose & Cable protection, sealing over bolts, dividing curtains etc. We offer High Quality Super Fine Cotton tapes.These Tape are Specially Made for Transformer Industries. Cotton Tapes are made from 100% premium Quality Fine cotton Yarn.